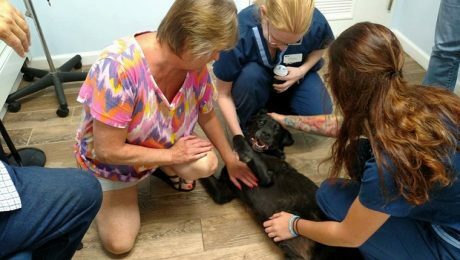 A lost black Labrador Retriever spent five months living on her own in the woods near her home. She was finally found by her owners and is now safe. 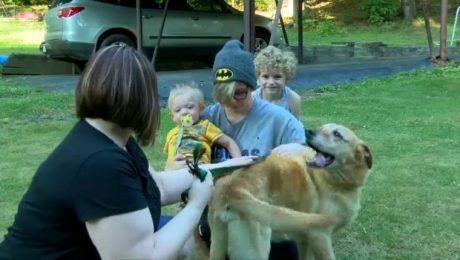 Jax the Labrador Retriever went missing while his family was on vacation. Four years later, a pet detective found Jax in the woods and reunited him with his family.